Enjoy bibigo Kimchi from Royal Chinese Cabbage Kimchi to Young Radish Kimchi and White Kimchi instead of Making Kimchi for Winter! Vegetable prices are likely to rise this winter! Many people may have thought this while struggling to deal with the scorching heat this past summer. Actually, there are probably many people who are fretting at the price of cabbage that more than doubled before the start of this year’s Kimchi making for winter. Today, CJ Creative Journal will inform you of a new kimchi trend in time to make Kimchi before winter approaches. There are many reasons why the consumption of kimchi has been falling such as changes in the eating habits of Koreans and a decrease in the number of people nearly always eating meals with kimchi. In 2016, there are many households that do not make large amounts of kimchi at a time due to a surge in the number of single-person households and the rising prices of kimchi ingredients. But it is nearly impossible for Koreans to live without eating Kimchi! A pinch hitter who can replace cabbages and radishes that have become very expensive is packaged kimchi. As one can afford to buy a small amount by buying packaged kimchi whenever it is necessary, packaged kimchi is the most economical choice for single-person or dual-income families. It feels good to be able to choose from various kinds of kimchi. 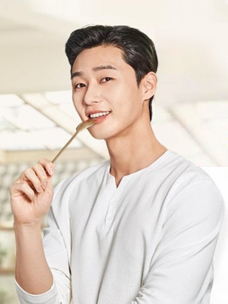 One can choose not only Chinese cabbage kimchi, but also Kkakdugi (sliced radish kimchi), Chonggak kimchi (pickled radishes) and white kimchi and so on according to their tastes. You can eat whatever kimchi you want. 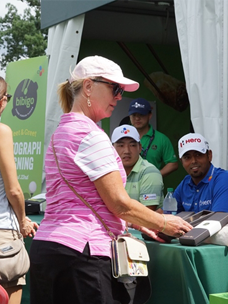 There are many people who think about bibigo Royal Cabbage Kimchi when they hear “bibigo Kimchi.” bibigo Royal Cabbage Kimchi which was launched in September of 2015 and has been loved by many customers consists of high-quality cabbage kimchi which reproduces the refreshing taste of kimchi that was served on 12-side dish tables for kings during the Joseon Dynasty. 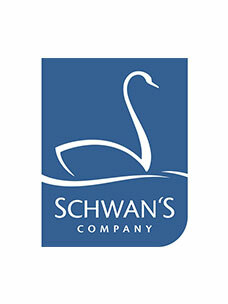 The product is characterized by a cool soda-like taste of unique walleye pollack broth which become better as the broth becomes ripe. The cabbage Kimchi which is put in a special fermentation container and matured at low temperature below 5 ℃ is similar to underground temperature in winter! 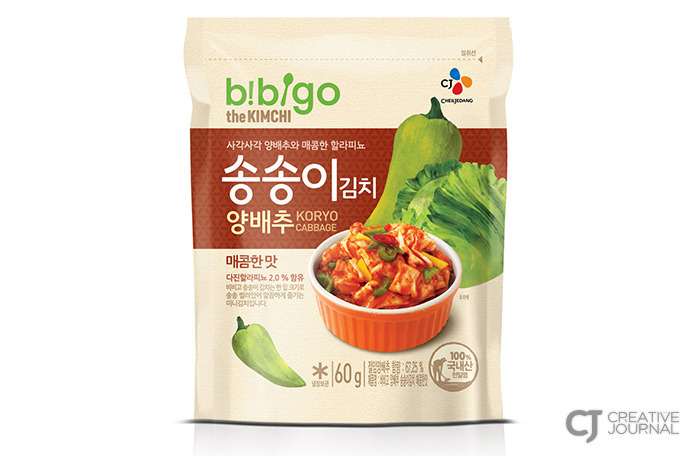 Therefore, this kimchi is recommended for those who want to properly taste fermented kimchi. 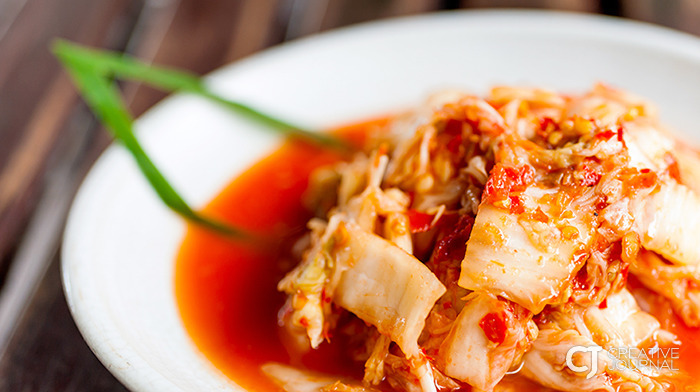 Discover Cabbage Songsongi Kimchi, loaded with the three major health foods in the world, cabbage, paprika and pimentos and extraordinary foodstuffs such as citron tea and jalapenos! Cabbage Songsongi Kimchi comes in a small-sized kimchi package that allows it to be easily consumed in outdoor activities such as camping and fishing. In particular, this kimchi has a sweet and sour flavor that is well suited for both eastern and western cuisines. 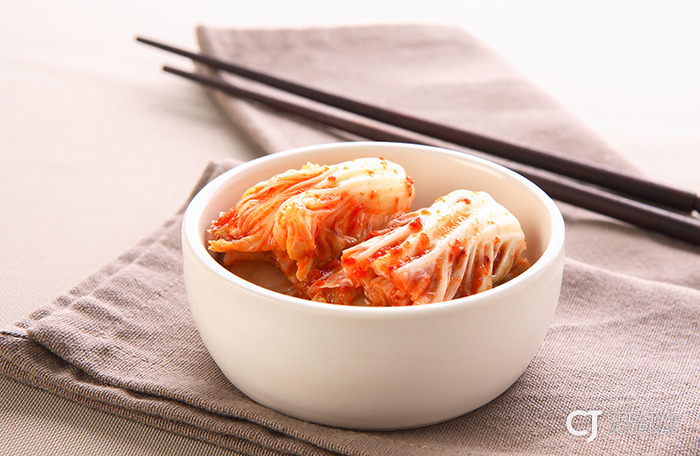 For young children who do not like the spicy taste of kimchi, Cabbage Songsongi Kimchi is the best kimchi! 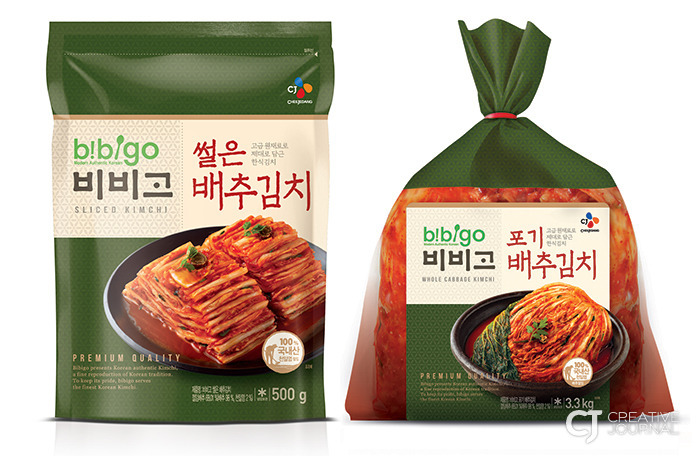 Among the diverse kimchi lineup of bibigo, these products are the most essential forms of Chinese cabbage kimchi! There are two kinds of bibigo Chinese Cabbage Kimchi ─ “Chopped Chinese Cabbage Kimchi” and “Chinese Whole-Cabbage Kimchi”. They come in various sizes ranging from 60 grams for a single serving to 3.3 kg for a whole family serving, providing a wider selection. Well grown Chinese cabbage is pickled with 100-percent sun-dried salt from Shinan and tastes better than you can possibly imagine! 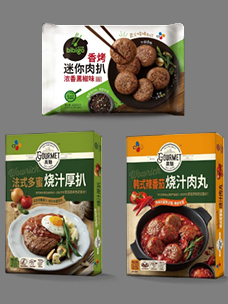 The two products offer the natural tastes of high-quality ingredients such as Aekjeot (fish sauce) from the south coast and Korean red pepper powder. bibigo Chinese Cabbage Kimchi will spare you the trouble to have to make kimchi for the winter. Radish kimchi consists of plump radishes with a variety of seasonings! There are many people who say, “Without radish kimchi being on the table, I lose my appetite." 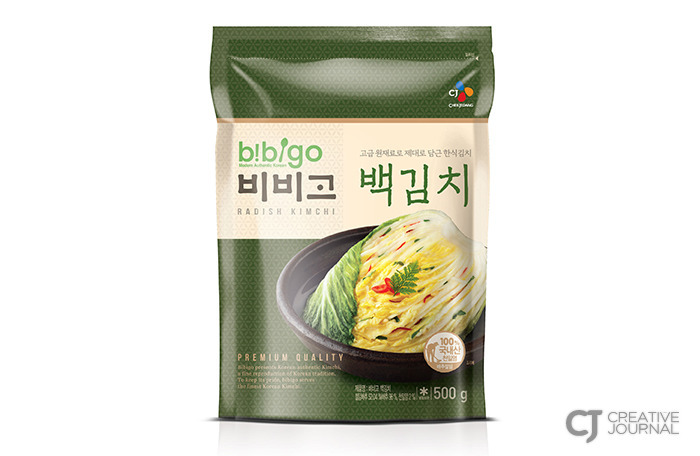 It is not easy to make radish kimchi but now you can enjoy bibigo Radish Kimchi throughout all four seasons. bibigo Radish Kimchi’s crunchy and fresh tastes are beyond compare as bay salt from Shinan and ripe pears have been added to it. Try serving bibigo Radish Kimchi to senior citizens whenever you hear them say, “This radish kimchi is too chewy!” when they eat radish kimchi which is slightly unripe! As one of the Korean delicacies for summer, young radish kimchi can be easily eaten without any fermenting period. Especially when you put it in cold noodles or Bibimbap, its crispy texture and flavor will captivate you. Now, you can taste delicious young radish kimchi which will let you feel as if you were eating young radish kimchi made by your mother. 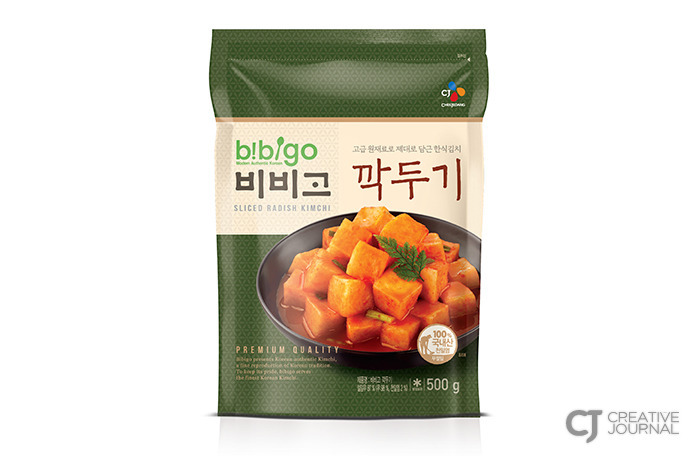 bibigo Young Radish Kimchi made with domestically produced red pepper powder features beautiful colors and spicy tastes and can create a perfect harmony with any food when it is a little ripe. Consider setting a better dinner table with ramen or ribs, or white rice rolled with dried seaweed and bibigo Young Radish Kimchi! Sliced radish kimchi (Kkakdugi), a must-have side dish at Seolleongtang (beef and rice soup) and Gukbap (rice soup) restaurants is one of the kinds of kimchi that Koreans love the most. But this fall, it is a big financial challenge to make sliced radish kimchi as radish prices more than tripled from a year before. In this case, it surely must be a wise choice to buy a small volume of packaged sliced radish kimchi as necessary rather than making sliced radish kimchi! bibigo Sliced Radish Kimchi, which recently expanded its lineup, can be called “the best side dish" for boiled rice thanks to its sour and sweet taste and crispy texture. Nowadays, if you lose your appetite due to cold weather, prepare a nice meal with delicious sliced radish kimchi! White kimchi offers a refreshing taste that is different from that of Chinese cabbage kimchi and is easy to eat in a variety of ways! As it is not spicy, this kimchi is loved by children and foreigners as “Korean pickles.” If you want to know about “its secret recipe,” you need to pay attention to the following! CJ CheilJedang's bibigo White Kimchi accentuated its savory taste by using Angelica keiskei and ripe red peppers. 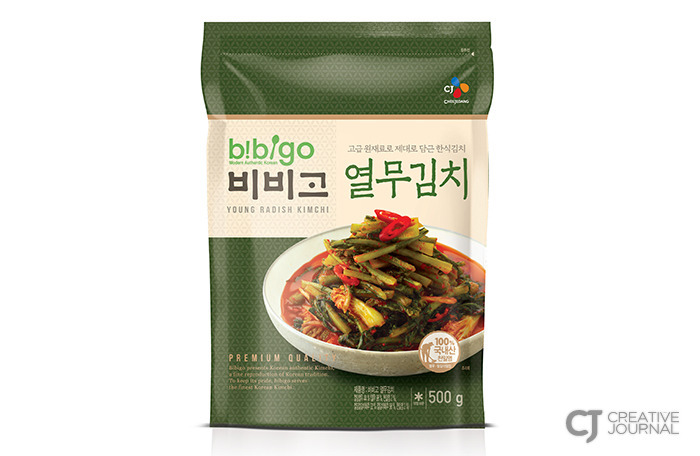 You will not have any trouble choosing a side dish for your dinner if you have bibigo White Kimchi available. In Korea, mothers usually feed their children with freshly made kimchi whenever they make it. 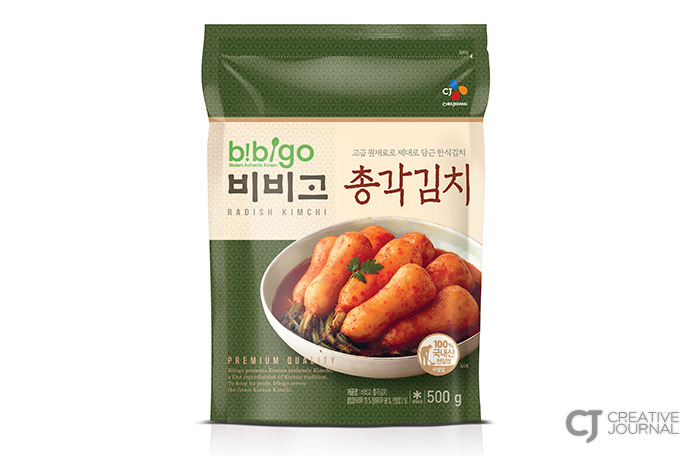 bibigo Kimchi was made by those with such mothers’ love for their children. 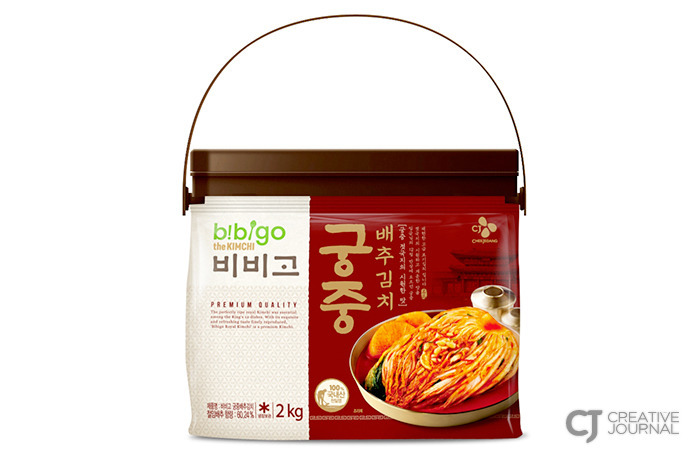 Try the bibigo Kimchi lineup and discover your favorite kind of kimchi!